It’s time to plan for the summer. We are looking forward to dipping the paddle in the lake, pack our backpacks and lace up our hiking boots. The land of the midnight sun is the land of opportunities and the sun doesn’t go below the horizon during night. We get filled with energy and can take advantage of all hours of the day to explore the nature. Do you like to join us for a summer tour? Here are two great adventures which we highly recommend. 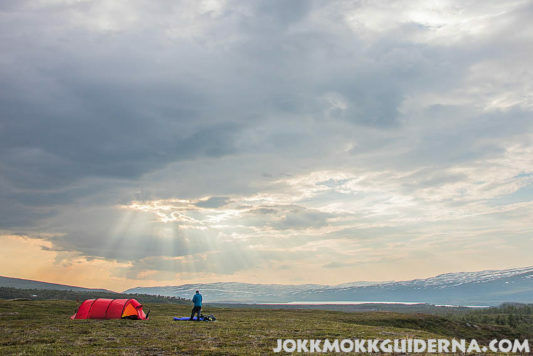 Join this 8-day expedition in search of Bears, Lynx and the largest Moose bulls in Scandinavia. 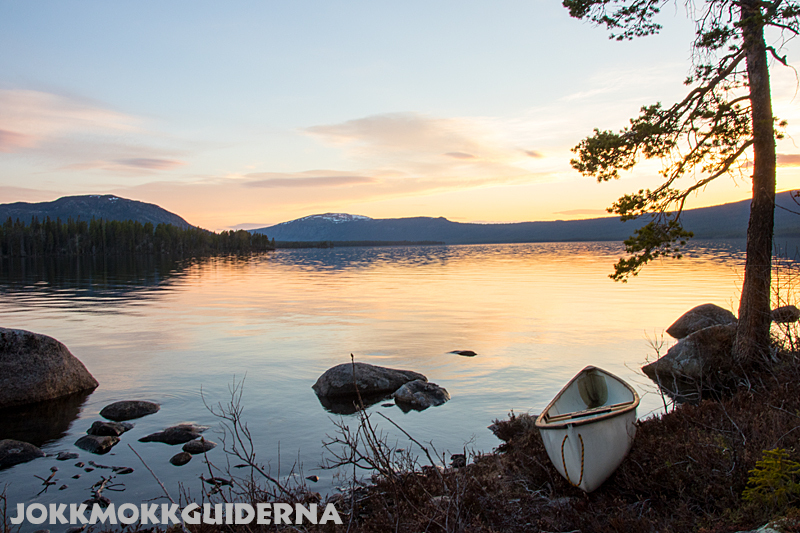 Follow on a canoe adventure in one of Lapland unknown wilderness areas. 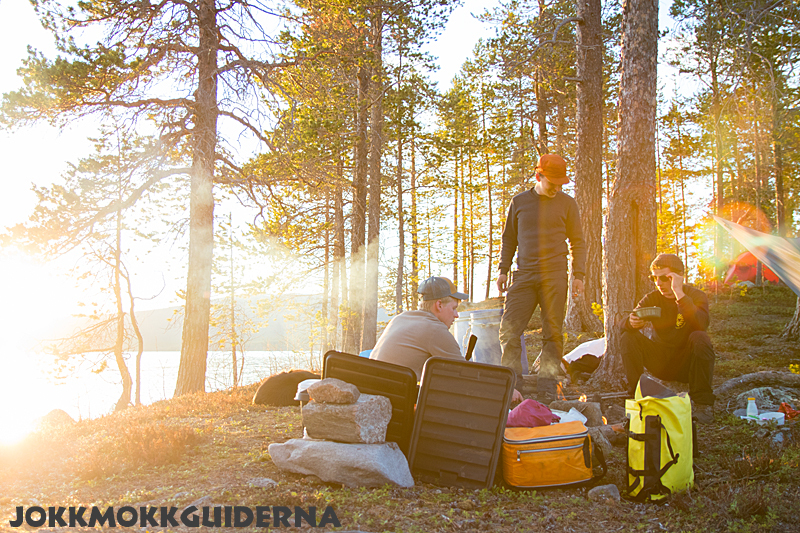 An outdoor experience close to nature. 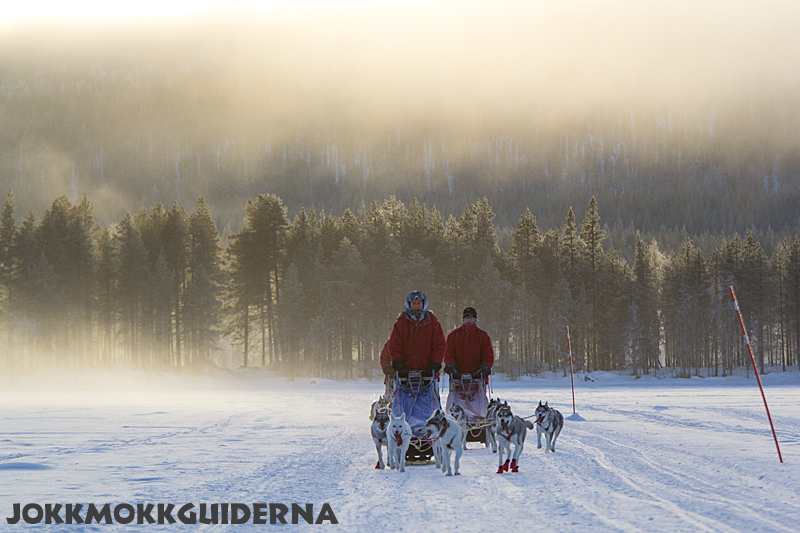 The dog sledding season is in full swing and the spring is arriving to Swedish Lapland. Meet the spring in the mountains! 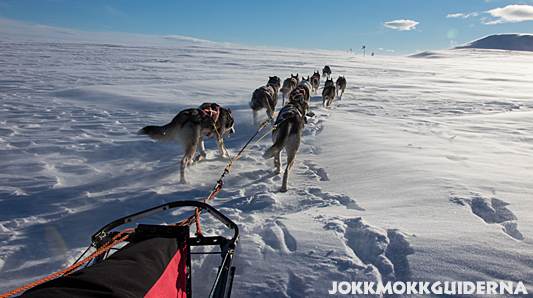 Run your own team of huskies with the sun in your face on an adventurous mountain tour. We still have a few available spots on the last week-long tours in April. 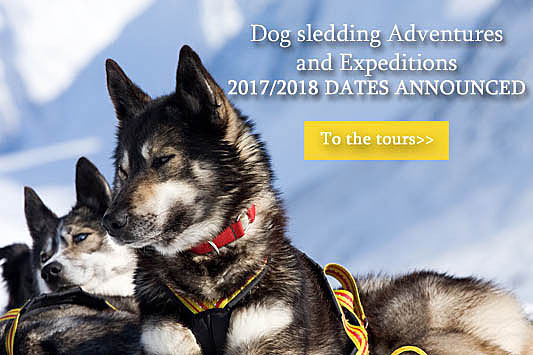 Publicerad: 16 March, 2018 i sled dog tours. Publicerad: 22 December, 2017 i Aktuellt. Another summer passed with many nice tours here in Swedish Lapland. 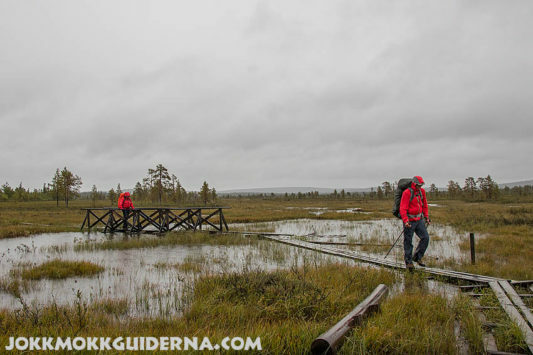 We have trekked along the King’s Trail, canoeing in the Pearl River nature reserve, crossed Sarek National park by foot, travelled along the paths in the forests of Muddus National park, seen the great Sarek moose in the valley Rapadalen and much more. Many wonderful tours and nice acquaintances with guests from near and far. 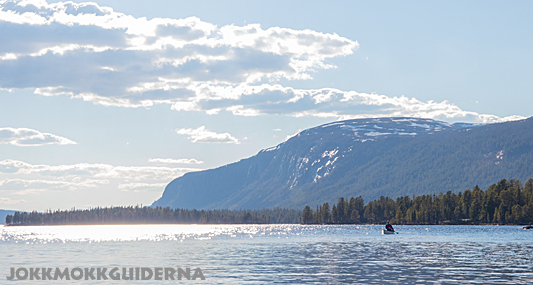 Canoeing seems to get more popular for each year and many find their way to us to rent canoes to explore Lapland’s water ways by them self. To paddle is a fantastic way of travel without carrying a heavy backpack. Instead you have all your gear in the canoe and can peacefully gliding along and enjoy the nature. 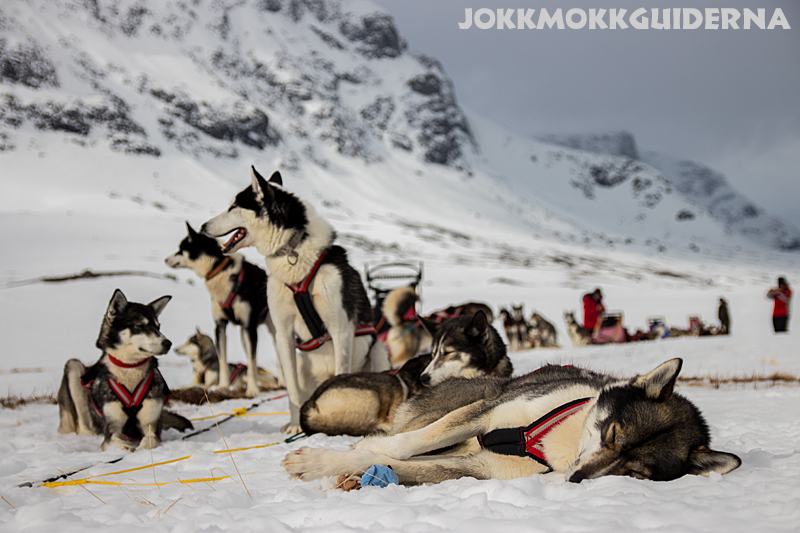 Home at the husky kennel, new kennels have been built and dog sleds and other equipment have got the required service. The dogs also need daily activities during the summer with lots of free running, play and socializing with us. We also got five new puppies from other kennels since our females didn’t get any puppies this year. We summarize another nice summer. Indeed, it has been little wetter than it usually is with many rainy days but that’s how nature is. 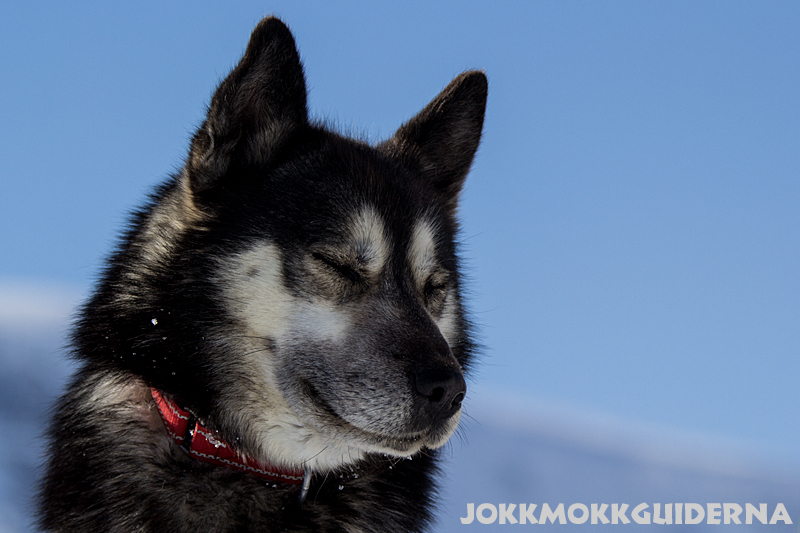 Follow us on Facebook and Instagram for more updates about our daily life, the tours and life with our huskies. Publicerad: 8 October, 2017 i Aktuellt. 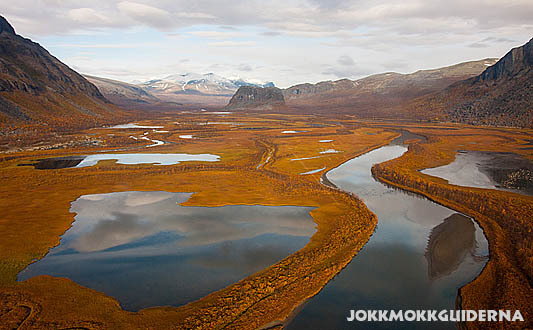 In the end of September, we head in to the valley of Rapadalen in Sarek National Park. Join this 7-days Wildlife Expedition in search of Bears, Lynx, Wolverines and last but not least the largest Moose bulls in Scandinavia, 18-24 September. There are a few spots left on the tour and you’re welcome to join! Contact us for booking or if you have any questions. 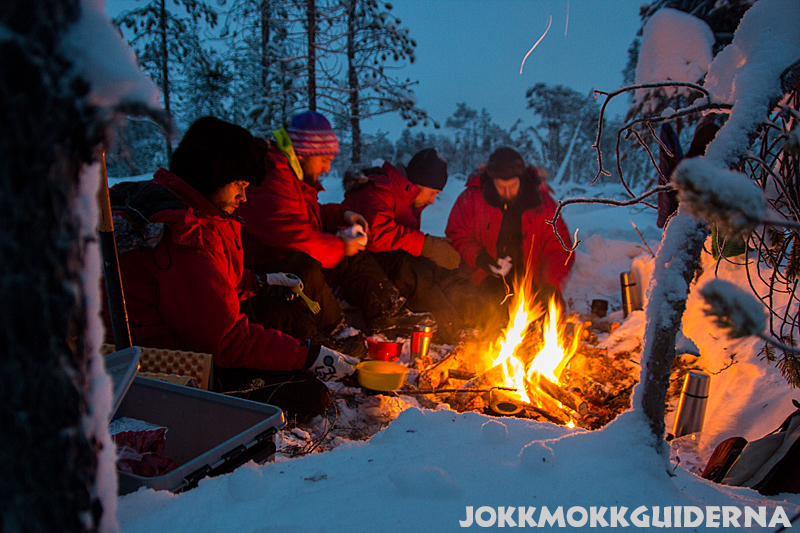 Join this 7-day expedition in search of Bears, Lynx and the largest Moose bulls in Scandinavia. Publicerad: 6 August, 2017 i Aktuellt, Autumn, Ecotourism, Northern Lights / Aurora Borealis, Summer tours. Summer has arrived to the land of the north. 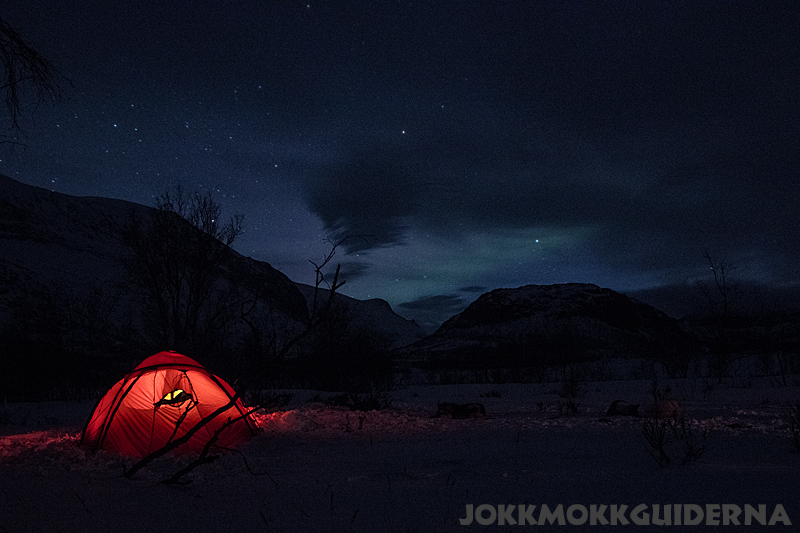 The midnight sun doesn’t go below the horizon during night and it’s hard to motivate yourself to go to sleep. 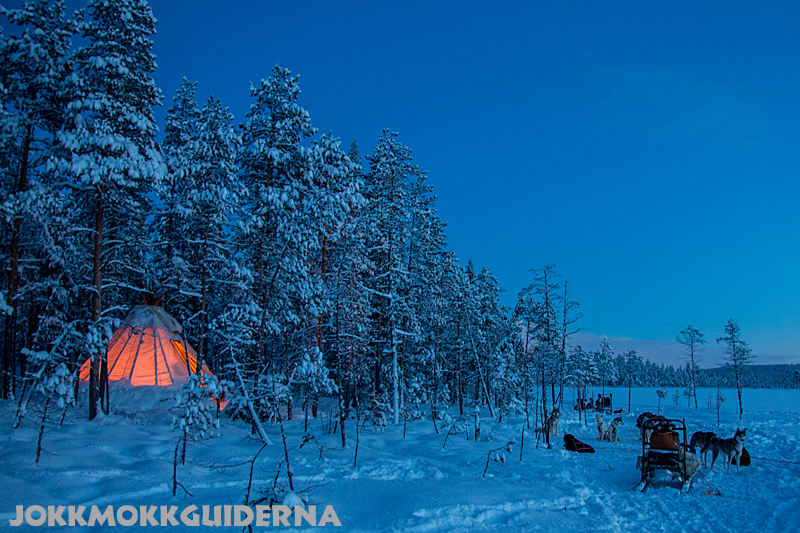 The dog sledges and winter clothes have been replaced by canoes and hiking boots. 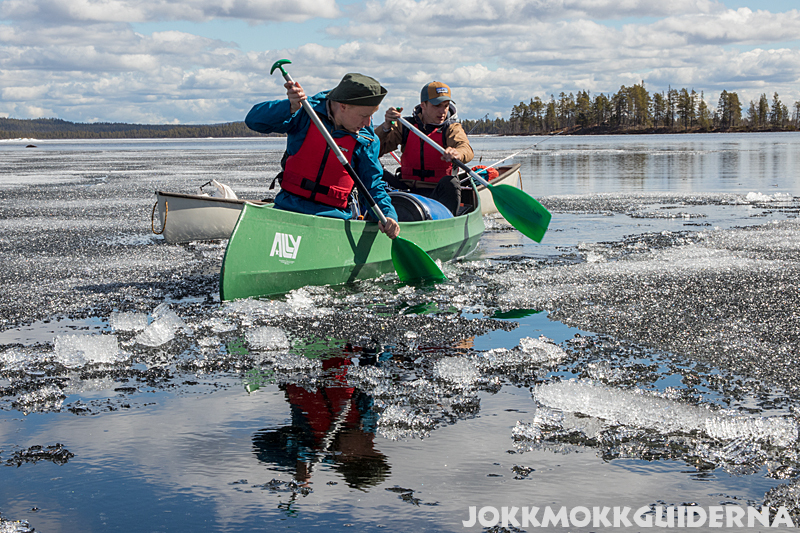 The first canoe tour for the season was carried out at the same time as the ice left the lakes. 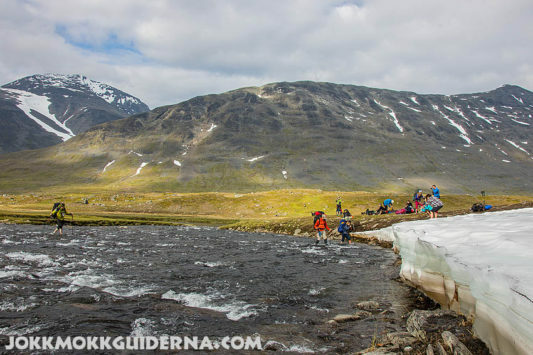 If you like to join us for an adventure this summer or autumn, we do still have available places on the 5 days canoe tour in the Pearl River Nature Reserve in August and on the unique Wildlife expedition in Sarek National Park in September. If you like to plan and go on an adventure by yourself, we have canoes and kayaks for rental, and we also arrange with transports to drop-off and pick-up points. 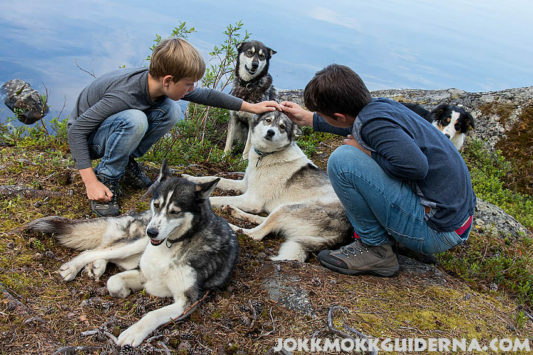 Publicerad: 14 June, 2017 i Aktuellt, Ecotourism, Lapland Canoe Central, Summer tours.